PS4 Firmware v2.0 is now available to download, and we’ve pulled the official changelog from the PS4 to reveal all the features and changes added to the PS4 in this update. In addition to the previously announced features like Play Share, USB Music Playback and YouTube uploading, the firmware also makes changes to the notification popups, changes to the settings menu and more. Players in a party can now use Share Play. You can now set themes for home screens and function screens for each user. Select themes in [Settings] > [Themes]. Broadcasts can now be filtered by language. With the list of broadcasts displayed, press the OPTIONS button and then select [Language]. [Featured] has been added. 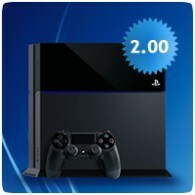 You can browse broadcasts such as PlayStation®-recommended broadcasts, broadcasts from Friends and broadcasts you follow. [Games] has been added. Broadcasts for each game are displayed. Twitch icons can now be displayed in comments. The following settings have been added to broadcasts. With the Share menu displayed, press the OPTIONS button and then select [Share Settings] > [Broadcast Settings] > [Advanced Settings]. You can now display messages to spectators. You can now include party voice chats in broadcasts. To include voice chat, [Include Party Audio in Broadcast] must be enabled in [Broadcast Settings] > [Advanced Settings]. Voice chats in a party will be included only if [Party Settings] > [Allow Your Voice to be Shared] is set to [Allow] for each player in the party. You can now adjust settings such as size, background and effects of video content from the PlayStation Camera. When you select [Upload Screenshot] from the Share menu, you can now attach a screenshot to your message. You can now trim your video clips in [Capture Gallery]. You can now set the length of time your controller will charge while your PS4 system is in rest mode. You can set the time in [Settings] > [Power Save Settings] > [Set Functions Available in Rest Mode] > [Supply Power to USB Ports]. [View Guide] and [Commands for Voice Operation] have been added to [Settings] > [System] > [Voice Operation Settings]. 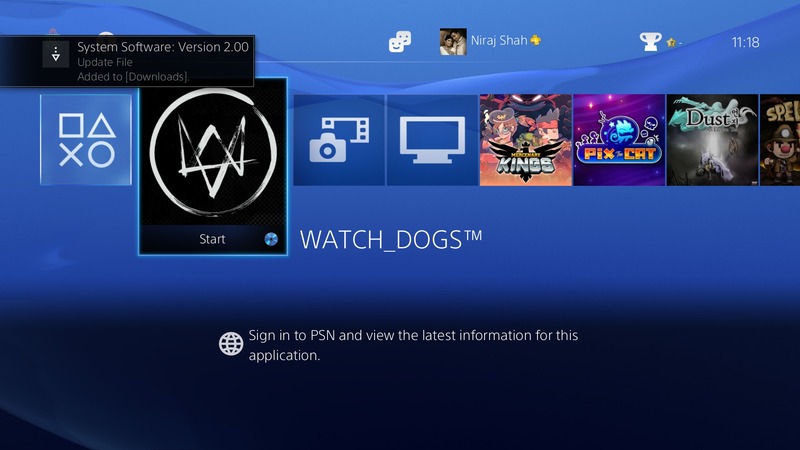 You can view a list of details and hints about operating the PS4 system with your voice. [Input Device] and [Output Device] have been added to [Settings] > [Devices] > [Audio Devices]. Also, [Output to Headphones] in [Settings] > [Sound and Screen] > [Audio Output Settings] has moved to [Settings] > [Devices] > [Audio Devices]. [Mouse] has been added to [Settings] > [Devices]. Names of players you may know can now be displayed in your Friends list or under [What’s New]. You can set whether to display your real name and profile picture to other players you may know in [Settings] > [PSN] > [Privacy Settings] > [Connecting with Friends] > [Players You May Know]. You can now record a voice message by pressing the button on the [Messages] screen. The layout of the [Party] screen has been improved. The number of content items displayed in the content area of the home screen has been changed. Content items that are not displayed can be reviewed in [Library]. You can review all content items in the content area by removing the checkmark from [Limit Number of Content Items on Home Screen] in [Settings] > [System]. [PS button] now appears in some notification messages. You can view details about the message by pressing the PS button when the message is displayed in the upper left corner of the screen. When you connect a new device to your system, you can check the remaining battery charge in the system message that is displayed in the upper left corner of the screen.